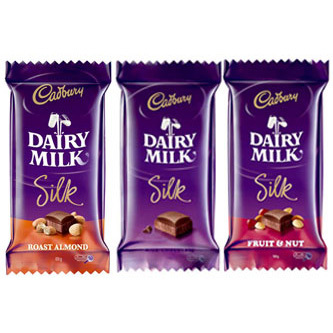 Buy Cadbury Dairy Milk Silk Chocolate online. 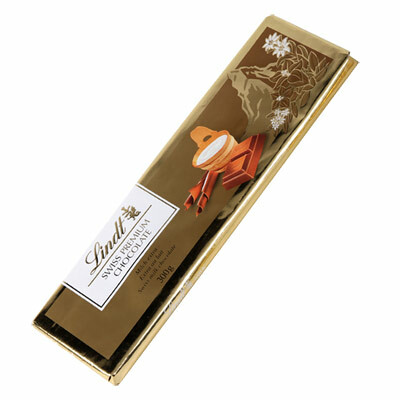 Lindt Gold Bars are a larger-format SWISS CLASSIC Milk Bar created with original Swiss chocolate recipes, developed with passion and dedication by LINDT Master Chocolatiers since 1845. An ideal gift for milk lovers. 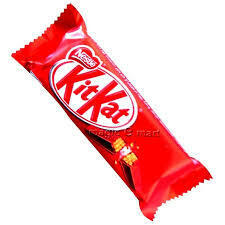 We source it from Dubai Duty Free every alternate week. 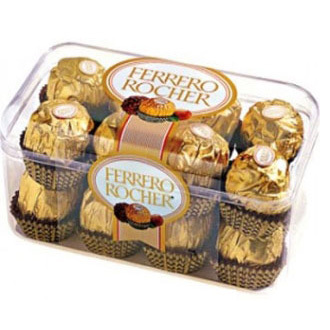 Ferrero Rocher is a spherical chocolate sweet made by Italian chocolatier Ferrero SpA, the producer of Tic Tac and Nutella. 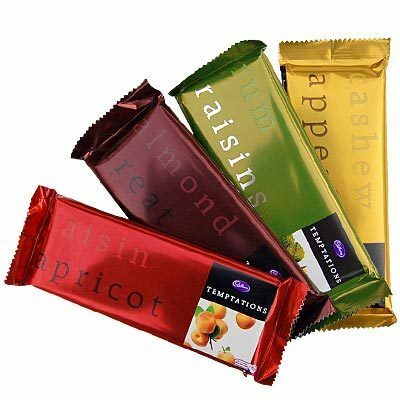 Introduced to the world in 1982, the chocolates consist of a whole roasted hazelnut encased in a thin wafer shell filled with hazelnut cream and covered in milk chocolate and chopped hazelnuts and walnuts. Smooth Milk chocolate with Honey and Almond Nougat. Toblerone is unique in many ways from its manufacturing, recipe, shape, logo and even licensing. Made from the finest ingredients, Toblerone is manufactured exclusively in Bern, Switzerland. 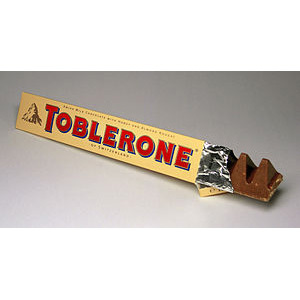 Toblerone includes the finest quality cocoa beans, milk, and sugar, but adds honey and almonds. This unusual recipe helped develop the bar’s name. Toblerone is a combination of the name Tobler, for the inventors, and the word “Torrane,” which is an Italian nougat specialty of almonds and honey. 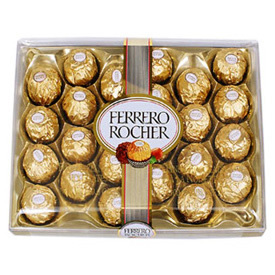 We only use the finest, top grade chocolates throughout our entire range yet still we maintain incredibly low prices. At VasaiFlowers you can be assured of not only Exceptional prices, but Exceptional service also.